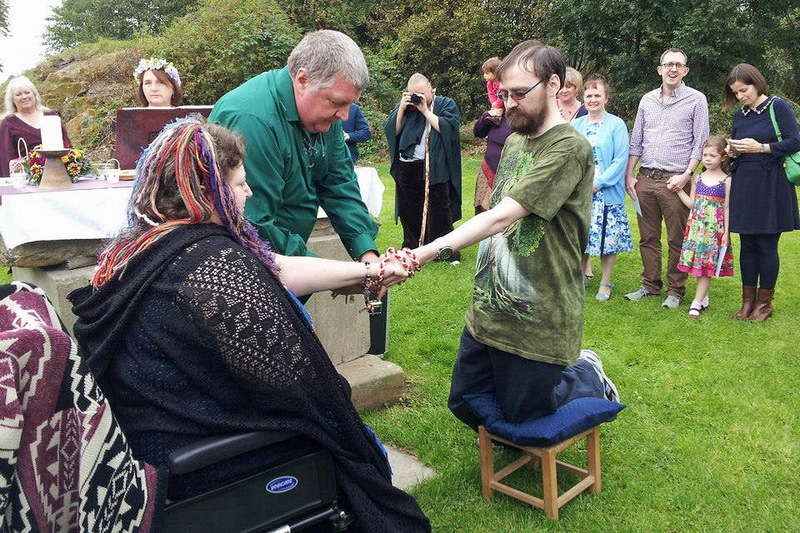 There are many definitions of the term ‘handfasting’ so it’s impossible to find one that everyone will agree with. 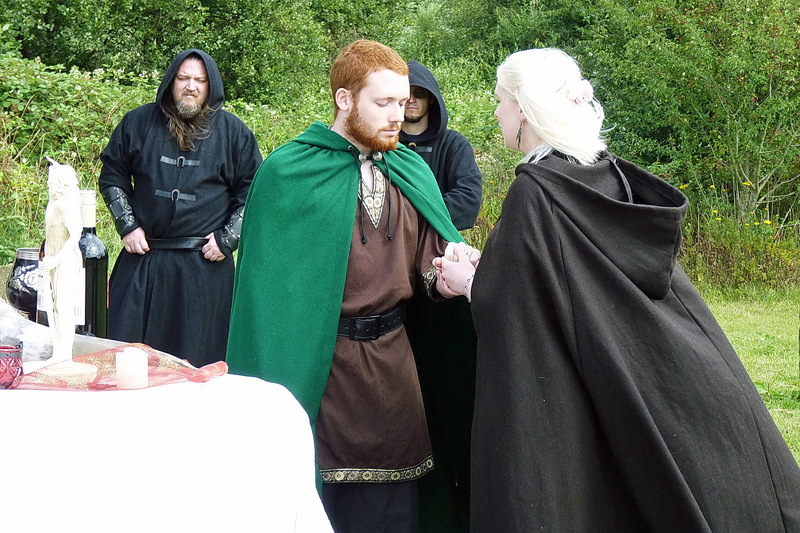 Here at Leodis Pagan Circle we use it to describe a marriage rite between two people who wish to make a public commitment to each other in a way that is spiritually meaningful to them. 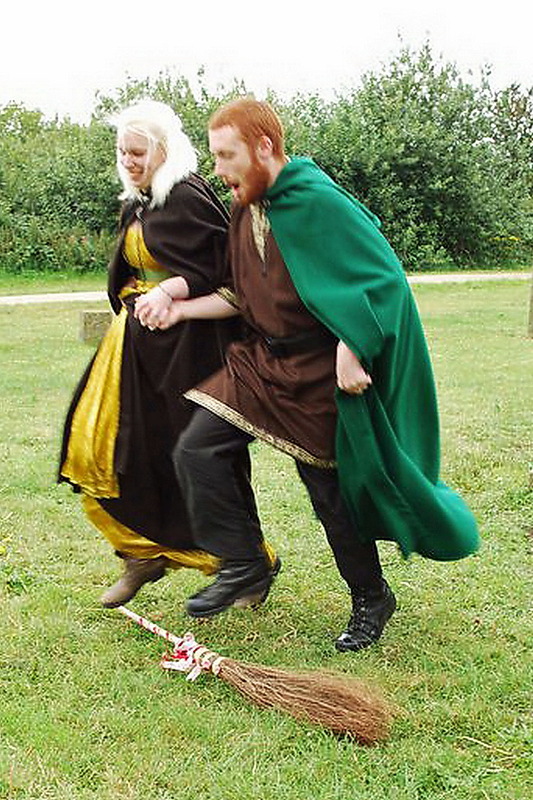 Before we go any further, it’s important to understand that until the 16th century, marriage amongst commoners was an extremely informal affair. Formally sanctioned marriages were for royalty and wealthy people – it was more concerned with combining money, possessions and property between powerful families and with producing their legitimate heirs than it was with ‘love’. Historically, all that was required for the common masses to form an alliance was for a couple to make promises to each other – it wasn’t even necessary to do so publicly but witnesses came in handy if proof was ever needed. 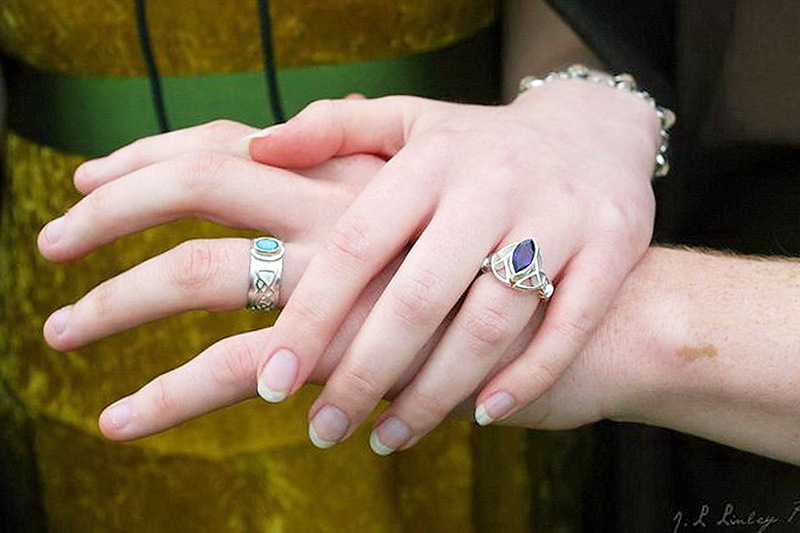 We believe the term ‘handfasting’ derives from the custom of shaking hands to reinforce a contract which then morphed into the practise of binding a bride and groom’s hands together (hence the expression ‘tying the knot’). 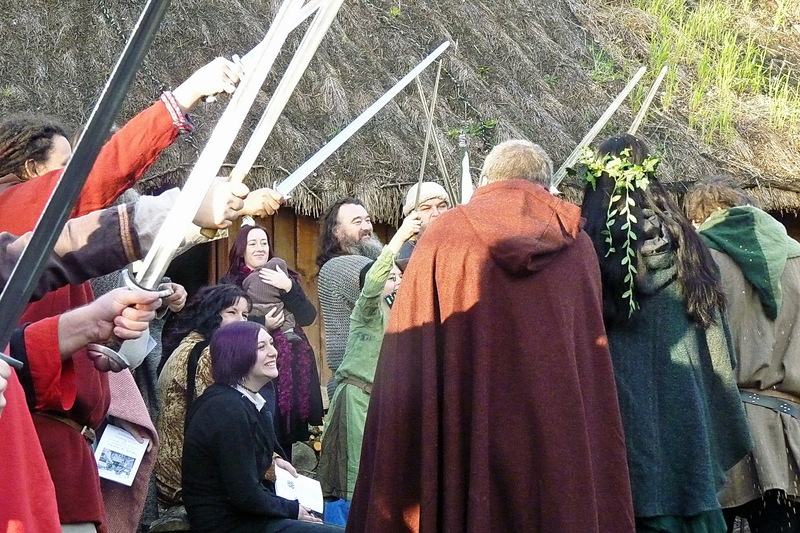 It’s important to note that no-one can be absolutely certain about the origins of handfasting because the keeping of official records is a relatively new concept in the history of humankind. Now, however, in order for a marriage to have legal status in the UK, a wedding ceremony must be sanctioned by the Registrar General. Then, call it none of these. And call it by that name! 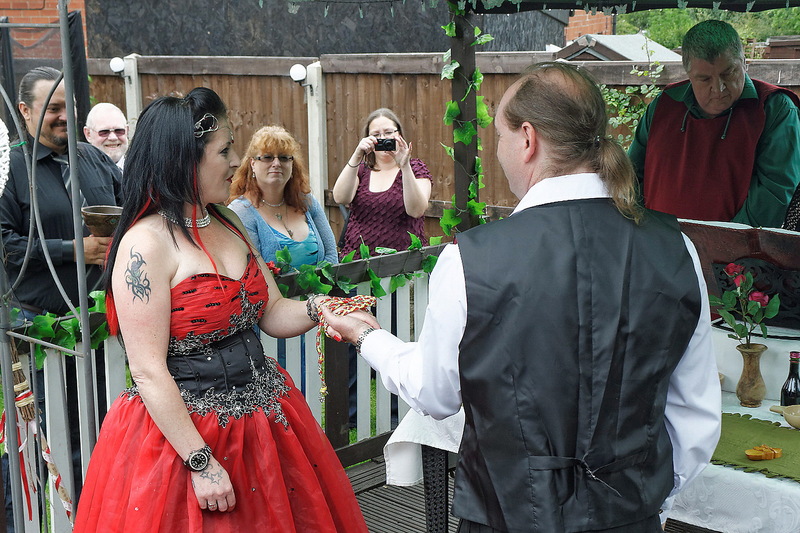 Unfortunately, as the law stands in England, Wales and Northern Ireland at the moment, Pagan celebrants and likely venues are unable to meet the requirements of the State and the Registrar General so handfasting has no legal status here. 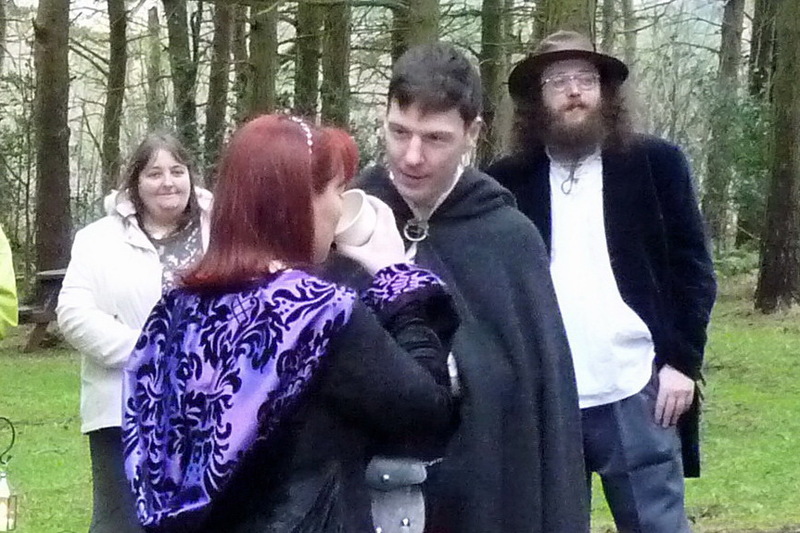 It is possible to have a legally binding handfasting ceremony conducted by a Pagan celebrant in Scotland and Ireland though because they are subject to different laws. 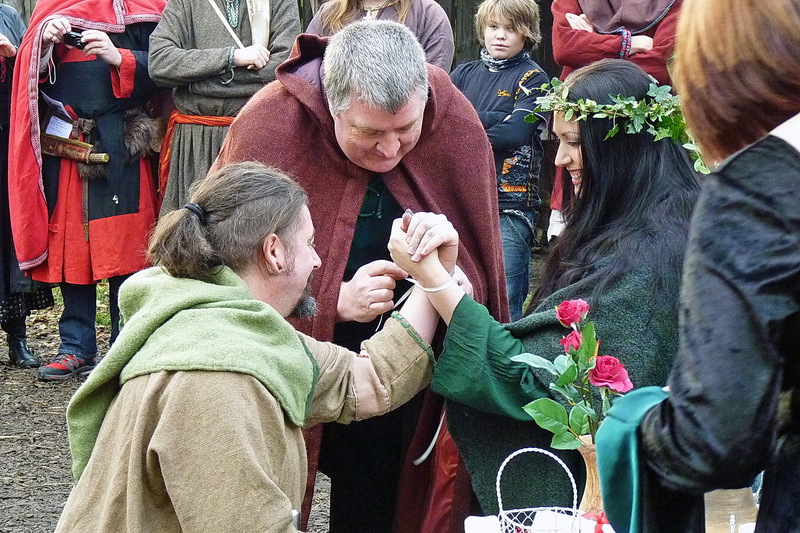 Leodis Pagan Circle is therefore unable to offer you a marriage ceremony that is legally binding but we find that many Pagan couples want something more meaningful than the informal ceremony offered during a civil marriage or partnership and we can help you to achieve that. 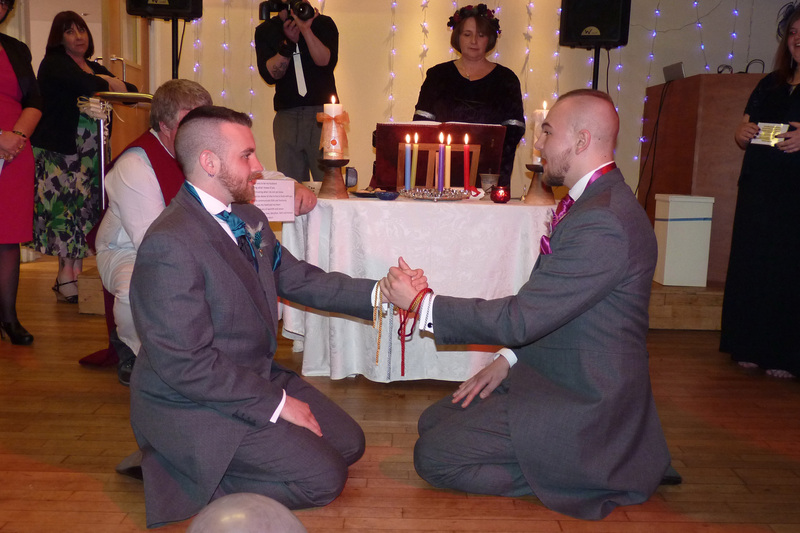 Because we believe true love is always worth celebrating, we can recommend professionally trained male and female celebrants who will offer you a beautiful handfasting service that encompasses your spiritual beliefs. 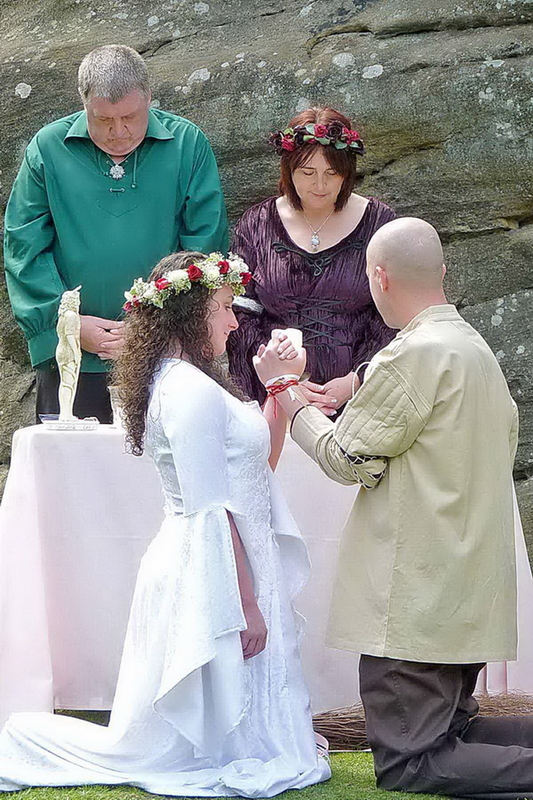 If you just want to make a public commitment, then a handfasting ceremony may be all you need. 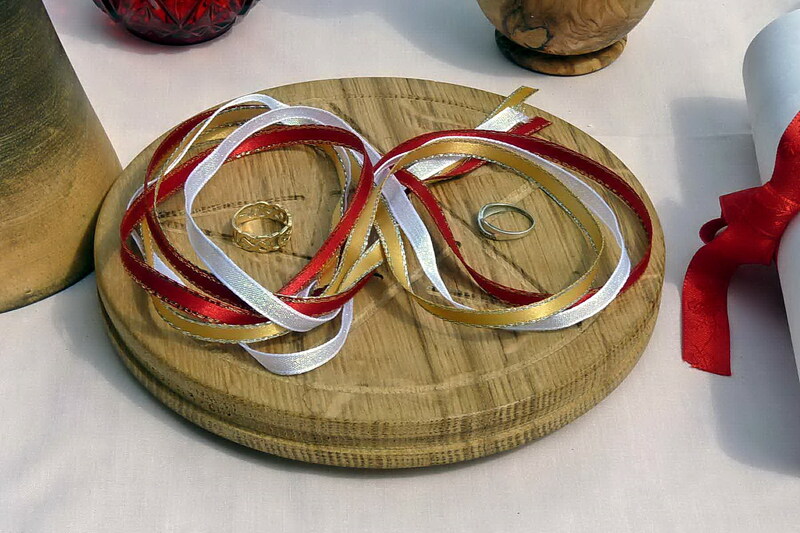 However, if you also want to be married in the eyes of the law, you may like to consider having a civil ceremony either before or after the handfasting.